Are you Filipino? How come 1 of your favorite author is Renato Constantino? I'm just curious because I'm doing a research about reconstruction of Filipina identity.You are Spanish right? Are you married to a Filipina? How does it feel that in our history your race maltreated us Filipinos and now you are married to a filipina? Sorry sir for being so frank just curious, well I don't even know if you're going to answer my e-mail or not. I hope that you will respond. Firstly, I am a Filipino though I have lived abroad for the last 30 years. Second, I have great admiration for the late Prof. Renato Constantino. I find so much truth about what nationalism is all about from him and how nationalism can be demonstrated and work for our homeland. 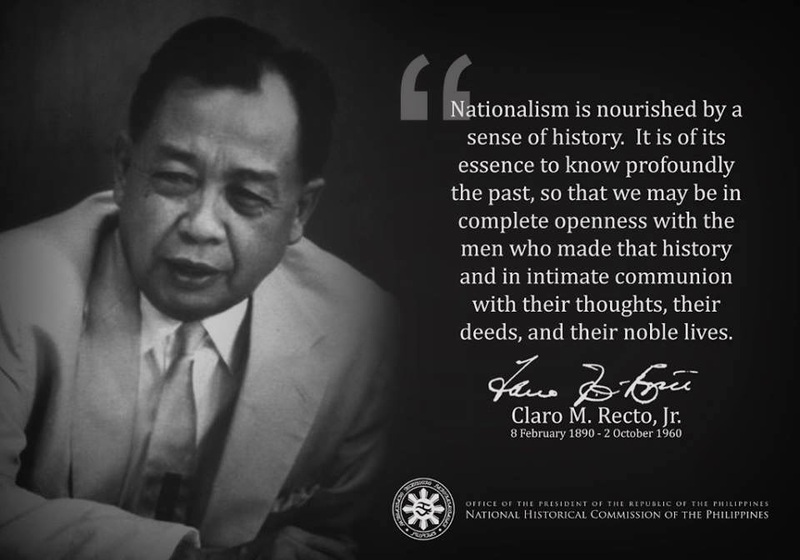 And I think too that he learned from the late Senator Claro M. Recto, for whom he worked during his younger days. I have been to Spain (backpacking) twice and spent a combined total of 6 weeks. 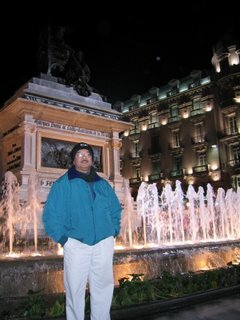 I plan to go back again before the year ends or early 2008. The experiences I had over there were eye-opening and pleasantly surprising. The ordinary Spaniards I encounterered in Spain in its different cities and towns, in bars, etc. were nice and helpful. They are not lazy. And Spaniards are very nationalistic. You can see that in the whole nation. As many nations are. It seems we Filipinos are the only ones who lack nationalism! I do not remember any experience of arrogance or discrimination in Spain (or Portugal). These were unexpected given the fact that our Philippine education taught us to hate Spaniards and to attribute all the bad things that happen in our homeland to these people. Of course, there still are mestizos in our homeland who have this air of arrogance and false feeling of superiority. They should be shipped out of our homeland. I think and believe that the Spaniards of yesteryears were typical of colonizers, whether they are Spaniards, Americans and Japanese. A critical reading of histories of nations will demonstrate this characterisitc of colonizers. And enemies and especially victors (as Americans were victors against the Spaniards) usually badmouth the losers. So Americans inculcated in us via historical books/stories only about the "badness" of the Spaniards, as if the latter contributed nothing positive to our society. Colonizers come to exploit another people. Whether these colonizers are British, French, American, Russian, Chinese, Spanish and what have you. I do not know what you meant by your research. Reconstructing the Filipina identity, in what way, towards what end?